NOTE: Sternhagen’s reading is the second part of the recording and begins at the 37:10 mark. 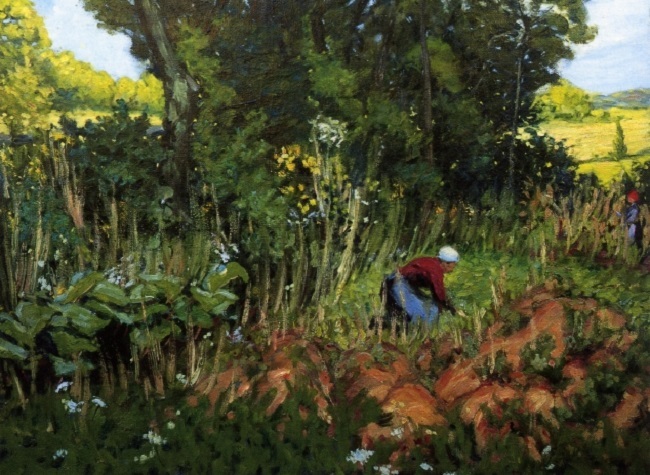 Detail from Work out in Mississippi Grove, c. 1900, oil on linen, by American artist Kate Freeman Clark (1875–1957). See the full image at The Athenaeum. 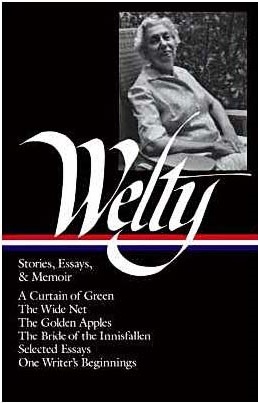 Years later Welty admitted that she wrote her earliest stories, including this one, “with a great deal of ease” and didn’t subject them to a vigorous process of revision. When she finished “A Curtain of Green,” she rushed it off to Southern Review editors Robert Penn Warren and Cleanth Brooks, who accepted and published it immediately in the Autumn 1938 issue. (Compare this experience with Warren and Brook’s initial rejection of “The Petrified Man,” described in a previous Story of the Week introduction.) The following year it was selected for the annual Best Short Stories collection. Every day one summer in Larkin's Hill, it rained a little. The rain was a regular thing, and would come about two o’clock in the afternoon. . . . This story is no longer available. Read other recent selections from Story of the Week.